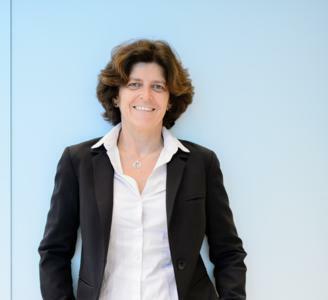 Mathilde Bluteau has been Microsoft France’s CFO for more than three years. Very “business partner,” she spends much of her time with clients getting feedback on Microsoft’s Business Intelligence solutions. For her, doing this is a no-brainer. “I wouldn’t be a good CFO if I were not passionate about the job and our company. If I don’t understand the business, what added value can I bring to the company? With these few words Mathilde Bluteau sums up her enthusiasm for and commitment to Microsoft France. Leader League. If the label “business partner” is somewhat overused these days, that doesn’t diminish the fact that it perfectly sums up your style as Chief Financial Officer. Can you explain how your department works? Mathilde Bluteau. My team is made up of 22 people, including three managers and two individual contributors, covering the following areas: compliance control, financial planning and analysis, business controlling of the commercial, general public and Consumer Channels Group divisions. Each manager is a true financial director for the division they support. And as a member of the management team of their division, they must know how to analyze and communicate its performance, plan and accurately predict the evolution of its activity as well as bring their leadership to each and every decision with a view to the profitable development of their division. They are true business partners, capable of understanding the complexities of each licensing agreement and the dynamics of each division. They must all be leaders and have a very strong sense of responsibility in the decision making process. For my part, I strive to stay very close to our partners and clients. I have redoubled my efforts and those of my team to share our experience and business intelligence solutions with our clients. Leaders League. What makes your financial department different? M.B. I am quite demanding but at the same time benevolent. My staff are given a great deal of freedom to get on with the job. The team has proven to be quite optimized thanks to the efficient use of shared services centers, for tasks with limited added value such as transactions and standard reporting. We use Microsoft’s productivity solution products such as One Note and Sharepoint. Having access to these tools is a big advantage that encourages more flexibility at work and the development, notably, of women’s careers. M.B. We do a lot to promote diversity of all types, be it gender, culture, experience or whatever. Our objective is to create an environment that is favorable to the development of women, not only in France but around the world. It’s something I feel really strongly about. Even today, there are big social and familial pressures on women. Many give up their professional lives or settle for less because they fear the impact a demanding career would have on other aspects of their lives. We are working to develop flexibility in a proactive manner. I can highlight my example. We are at a crossroads and there are strong cultural convictions to be dealt with. I often go out of my way to explain to women that they are just as capable as men. There is no difference. When it comes to skills, they have just as many as their male counterparts. Leaders League. Which of your qualities do you find yourself drawing upon the most these days when doing your job? M.B. Courage. This is key for me. I think that we must always be brave and take the decisions that need to be taken. A manager must have a clear vision about the choices to be made. Often in big companies managers come up against large groups which hold certain beliefs, and are rendered inert. It is also very important to stay true to your values. We mustn’t kid ourselves, it takes guts to make progress. We find success when we really believe in something.